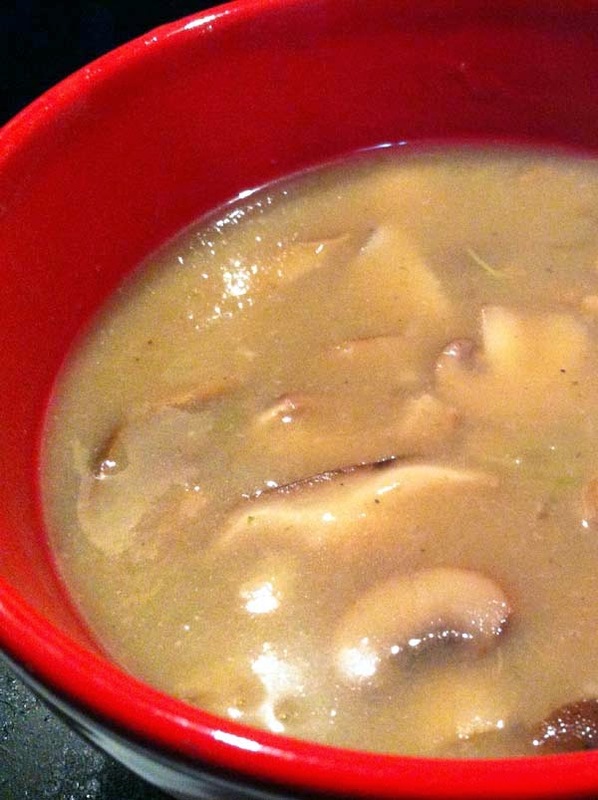 Mushroom is one of those delicacies that I love to include in my cooking as much as possible. That's why I prefer them in my frittata. But they're great as soup, too. Not to mention that mushroom is good for you because it is, among others, a great source of potassium, widely known to help prevent stroke, high blood pressure, and heart attacks. 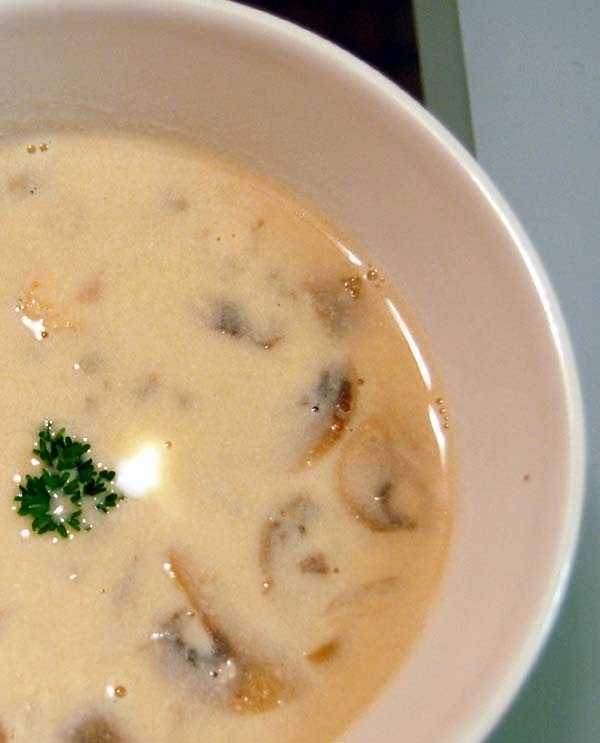 Additionally, mushrooms are also rich in selenium required by our "body for proper functioning of the thyroid gland, and may help protect against free radical damage and cancer" (source). In a large saucepan over medium-high heat, melt butter. Add onions, garlic, salt, thyme and pepper; cook, stirring often, until onions just begin to brown, about 5 minutes. Add mushrooms, broth, and wine; bring to a boil; cook for 1 minute. Using a slotted spoon, remove 1 cup of the vegetables; set aside. In a blender or food processor, place half of remaining soup from the saucepan; puree until smooth; remove to a bowl; repeat with remaining mixture; return entire pureed mixture to saucepan; stir in milk and reserved vegetables. Simmer just until heated through, about 5 minutes. If desired, garnish with thinly sliced green onion and bacon for flavor. Enough for six cups of serving.